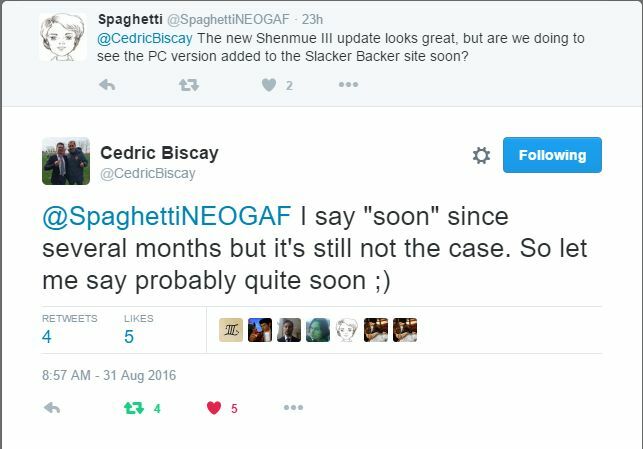 While we have not yet seen the appearance of the PC version as a reward option in the Slacker Backer campaign for Shenmue III (official site) since it was launched in September of last year, the FAQ page has always indicated that it is in the works. 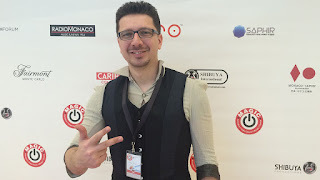 This has been confirmed again today by Cedric Biscay. a great spokesperson for Shenmue III. Cedric replied to user Spaghetti's query on the subject via Twitter, acknowledging that it has been a while but reassuring that the PC version will be added "probably quite soon". A friendly confirmation that it's is still being worked on. While he doesn't promise a specific timeframe, which is likely impossible for him to do, it's good news in a couple of ways - both the fact itself and also because it sends a calming message to the community & media in case anyone was doubting whether it was still on the cards. I have been very impressed with how responsive and courteous Cedric is to anyone's questions and comments right since the start of the Kickstarter campaign. He's really as good as a PR firm for the Shenmue III project just on his own!